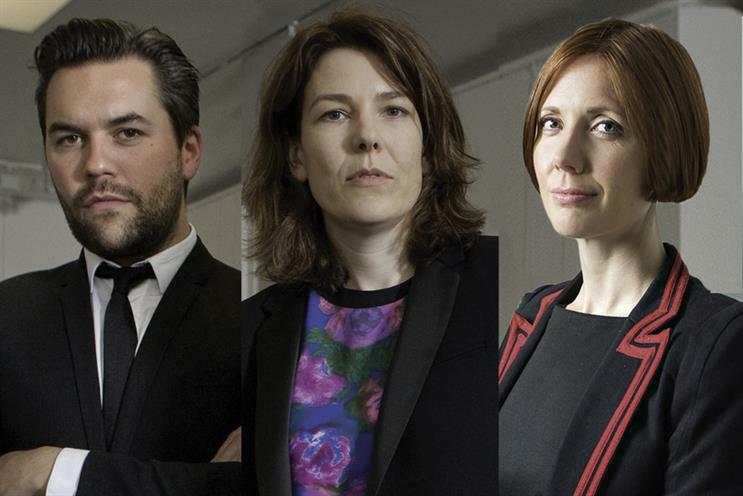 Grey London's heart has been ripped out as its three most senior staff resign, but the agency has moved quickly to fill the leadership vacuum. Grey London’s chairman and chief creative officer Nils Leonard, chief executive Lucy Jameson and managing director Natalie Graeme have officially handed in their notice today. It is believed they are planning to set up their own business. Grey has moved quickly to shore up its leadership by announcing Leo Rayman as the new chief executive. He was previously chief strategy officer. David Patton, the president and CEO of Grey EMEA, thanked the trio for their work over the past few years and said he wished them every success in the future, adding: "all have been prime movers in Grey London’s reinvention." He added that the new CEO of Grey London, Leo Rayman, "has done a superb job" over the past three and a half years, leading to IPA Effectiveness Company of the Year and Euro Effie Agency of the Year. "Having achieved such strategic successes, he has been ready to step up to the leadership role for some time," he said. Vicki Maguire and Dominic Goldman will continue in their executive creative director roles and the day-to-day running of the London creative department. Likewise, Perry Nightingale will continue in his role as executive creative technology director. Patton added: "Grey London is in a very strong place. It has never had a deeper, more diverse bench of talent with strong creative, strategic planning and account leadership in place to fuel our momentum and break new ground, with culturally-ambitious ideas and experiences across platforms. "Whilst not wanting to trigger such events, we’ve long had succession plans in place so management transition will happen smoothly – as such I’m very confident the new management team will be very well supported by all of the 450 employees at Grey London." Rayman said: "Grey’s culture is what makes us different and it’s bigger than any one of us. We’re now going to accelerate the Grey project, strengthening our position as the most progressive creative firm in London, with brave culturally-impactful work and acquisitions in tech and data." Leonard joined Grey in 2007 as executive creative director. He was later promoted to chief creative officer and, in 2014, took the chairman role. Jameson joined the agency as chief strategy officer in 2012, until she was promoted to chief executive in February 2015, replacing Chris Hirst, who joined Havas Creative Group to be CEO of UK and Europe. Graeme joined as managing partner at Grey in 2013 from Mother London. She was promoted to managing director in May 2015. Rayman joined the agency as head of planning in 2013 from Adam & Eve/DDB where he was the planning director. He was promoted to CSO in 2015, shortly after Jameson took the CEO role. Grey London was Campaign's runner up creative agency of the year in 2015. It was recently the most awarded agency at the D&AD Awards, winning 15 Pencils.